Guildonian Players: Our Spring Show! 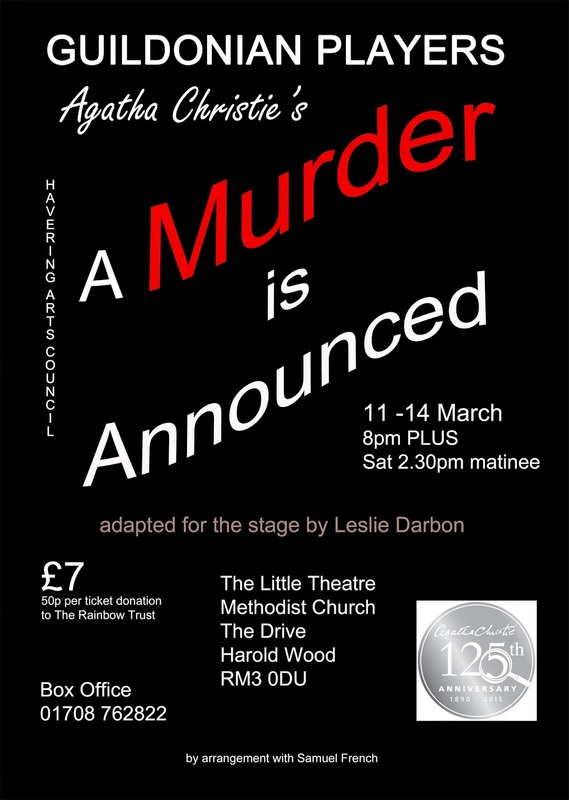 This year celebrates the 125th Anniversary of Agatha Christie’s birthday and Guildonians are pleased to present this well-known and popular play. An ‘announcement’ in the local paper states the time and place of a murder to occur in Miss Blacklock’s early Victorian house. What follows is a classic Christie puzzle which a determined Inspector tries to solve – luckily Miss Marple is on hand ….. Rehearsed under the watchful eye of experienced director Vernon Keeble-Watson, this play is a great way to spend a spring evening. Why not come along and see if you can solve the puzzle? Put the date in your diary now!